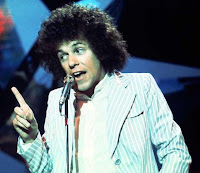 This is singer songwriter Leo Sayer live at Pauls Mall in Boston on March 9th 1975. Leo's debut album 'Silverbird' was released in 1973 and was one of my favorite albums from that year, indeed I still give it a listen from time to time. Four songs from the album are performed within this concert. By the time of this concert Leo had enjoyed a number of hits and had gained a good following both in the UK and the USA. For me personally his musical direction after Silverbird was a little to 'single hits' orientated, however his positive and upbeat style gives all his songs a lift when performed live, and after all who can blame him from exploiting his chart success. 2010FM - April Edition Two. As was the case with the first April 2010FM edition all the featured songs are at the bottom of this edition in one playlist. I have already given some attention to Alcoholic Faith Mission this year, however with the forthcoming release of the new album 'Let This Be The Last Night We Care' (available on April 27th in the USA on Paper Garden Records) and those nice folk at said record label sending us another song by the band, I just had to give them another big Beehive Candy recommendation. The band will be touring Japan and Europe along with the U.S. this year so keep a look out for tour details. Featured Track: My Eyes To See. Indianapolis three-piece Burnt Ones released their debut 7" All Night Long via Roaring Colonel Records last Thursday (April 15th), which also happens to be the label's debut release.